Somerset County is serviced by two NJ Transit rail lines: the Morris and Essex Line – Gladstone Branch (Gladstone to New York City) and the Raritan Valley Line (High Bridge to New York City). You can use the NJ Transit online trip planner to view service to/from specific locations and calculate the travel cost. Senior citizens (62 years of age* and older) and people with disabilities can save one-half or more of the regular one-way fare through NJ Transit’s Reduced Fare Program. Passengers with disabilities must show their valid NJ Transit Reduced Fare ID or Medicare Card to the bus operator, light rail vehicle operator, or train conductor while senior citizens can present any valid form of ID. For more information, please visit NJ Transit’s website. *65 years of age for travel to/from Metro-North stations. 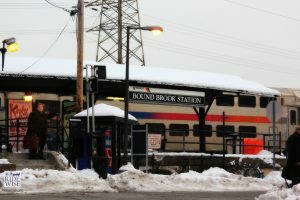 The NJ Transit Morris and Essex Line (Gladstone Branch) offers rail service from Lyons east to New York, Penn Station and west to Hackettstown. **A change of trains at Summit is required for some trips. 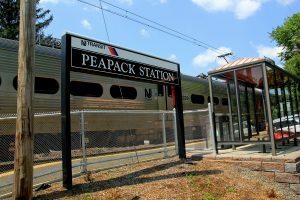 The NJ Transit Raritan Valley Line offers weekday and weekend rail service from North Branch east to Penn Station, New York, and west to High Bridge. **A change of trains is required at Newark Penn Station on some trains in order to travel to New York-Penn Station, Check the rail schedule for trains offering “one seat ride” services into New York.